Central Illinois Rock Club with monthly meetings, field trips, junior activities, and more! 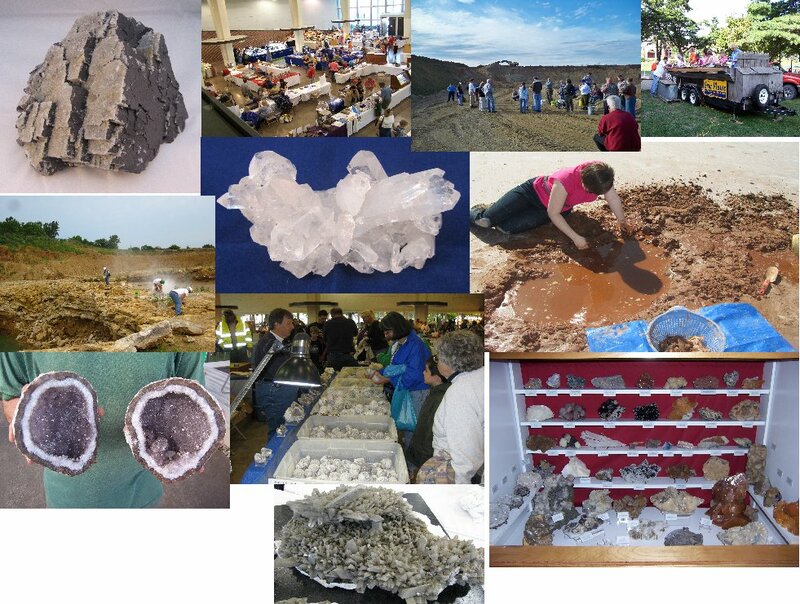 You can find more information about our annual Gem, Mineral, and Fossil show in Springfield, Illinois here. Our program this month is: Fire and Ice: The Pending Collapse of Earth’s Magnetic Field? presented by Dr. Carl Wenning. Earth’s magnetic field last reversed itself 780,000 years ago, and the next reversal is long overdue. Earth’s magnetic field is now on the move and weakening. Should Earth’s magnetic field entirely collapse during the next reversal, Earthlings will be subject to dire consequences from the Sun’s coronal mass ejections and deep space cosmic rays. What might we expect in future years? In an attempt to answer this question, the speaker will tie together such diverse topics as the sun, the planets of the inner solar system, Earth’s magnetic field, the auroras, plate tectonics, paleomagnetism, African tribal customs, and his recent visit to Iceland’s Mid-Atlantic rift valley.